Several months ago, Irving, Texas based biotech firm Reata Pharmaceuticals announced the enrollment of the first patient in a Phase 2 dose-ranging study examining the safety, tolerability, and efficacy of its RTA 408 Lotion (3% and 0.5%) versus vehicle for the prevention and treatment of radiation dermatitis in breast cancer patients for whom radiation therapy (RT) is recommended. Dubbed “PRIMROSE” (A Randomized Double-Blind, Vehicle-Controlled, Parallel-Group Phase 2 Study of the Efficacy Safety, Pharmacokinetics, and Pharmacodynamics of RTA 408 Lotion in the Treatment of Patients at Risk for Radiation Dermatitis) the multi-center study seeks to enroll approximately 180 breast cancer patients who are receiving radiation therapy, in order to test the company’s novel radiation burn lotion. The primary efficacy endpoint for the study is the time-averaged effect on radiation dermatitis severity — namely, how quickly and effectively the lotion that reduce the symptoms associated with radiation burns. A complication experienced by a majority of patients receiving radiation therapy (RT) for cancer, radiation dermatitis can damage cellular structures in the skin, causing pain, ulceration, necrosis, and fibrosis of exposed skin tissues. Radiation dermatitis usually manifests within one to four weeks after initiation of RT and can result in delays in or failure to complete the therapy, limiting its dose effect, which can ultimately negatively affect treatment outcomes. There are currently no approved agents for the prevention of radiation-induced dermatitis. In an exclusive email interview with Radiation Therapy News, Dr. Douglas F. Ciuba, M.D., one of the investigators involved in Reata’s PRIMROSE trial, answered some questions from BioNews Services, LLC president Chris Comish. Dr. Ciuba is Medical Director of Radiation Oncology for The John B. Amos Cancer Center at Columbus Regional Health in Columbus, Georgia. How long have you been treating BC patients with radiation? I rotated through my first radiation oncology department more than 25 years ago. I have been in private practice for more than 21 years. Can you give us an overview of your background and training? I received my Undergraduate degree at University of Georgia, Medical degree from Medical College of Georgia, and completed residency at University of Kentucky. I am board certified and FACRO. What are the risks of radiation therapy to breast cancer patients? DC: Normal tissue adjacent to the cancer (or areas at risk for having residual cancer cells) receive some radiation also. Although we try to keep this to a minimum, there are risks of damage to these adjacent tissues. Each tissue responds differently to radiation. During breast cancer irradiation, skin irritation is the most common acute side effect, called “radiation dermatitis.” This can be painful for the patients, especially if they get moist desquamation (raw areas). Sometimes they can have lasting skin thickness, discoloration, or loss of elasticity. How do you traditionally manage the side effects associated with radiation therapy? If these symptoms occur during radiation there are various creams we use including topical steroids, moisturizing agents, aloe, or prescription medications if they get moist desquamation. Most treatment is designed to treat the symptoms and not to prevent the problem from happening. That is what is unique with this study lotion. How often is RT a rate limiting step in the therapeutic approach? DC: It would be exceptionally rare to have to discontinue radiation and not complete it because of radiation side effects for breast cancer. Sometimes we have to give the patient several days or a week off treatment to allow the skin to heal before resuming their planned treatment. 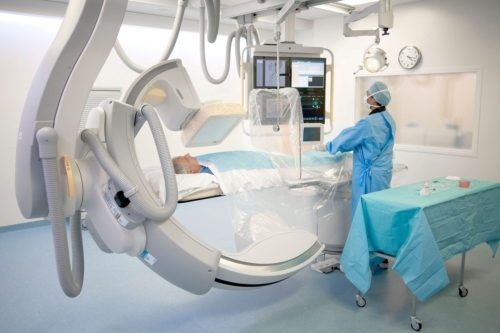 Does the incidence of radiation burns impede your treatment planning? If so, what are the implications? No, their treatment plan is based on their diagnosis, stage and prior treatment. Radiation dermatitis will rarely cause a treatment break as noted above. What is considered the standard of care in dealing with radiation dermatitis? Every cancer center has a different approach and there is not just one standard. It usually consists of various creams in response to the patient’s symptoms. That is what is so unique about this study. The study is evaluating this novel approach to try to prevent/minimize radiation dermatitis instead of waiting for it to happen and then treat the symptoms. Do you see any emerging treatment changes or therapies that could mitigate the risk of burns in radiation therapy? The study lotion is the only one that I am aware of that will use this mechanism of action to minimize the cascade of events that lead to radiation dermatitis, and also possibly speed the healing process afterward. I believe the science behind this new drug is very compelling. Reata reports that RTA 408 Lotion has been assessed in a Phase 1 study which evaluated the safety, pharmacokinetics, and local pharmacodynamics of RTA 408 Lotion in 32 healthy volunteers. Twice daily application for up to 28 days of 0.5% and 3% RTA 408 Lotion was reported to be safe and well-tolerated on skin areas up to 500 cm2. The investigators also reported that no drug-related systemic adverse events were observed in any subject, and systemic exposure was negligible. According to Reata, RTA 408 Lotion is not anticipated to interfere with radiation therapy, and has demonstrated enhanced therapeutic efficacy when orally administered concomitantly with radiation therapy in mouse cancer models. Reata Pharmaceuticals, Inc. is a privately held company with a mission to translate innovative research into breakthrough medicines for difficult-to-treat diseases that have significant unmet needs. Founded in 2002 with an understanding of the substantial technical risk involved in developing medicines, Reata’s business model is built around small cross-functional teams, rapid evaluation of projects for biological activity and clinical viability, quick decision making, and intense analysis of scientific data to determine the direction of individual programs. 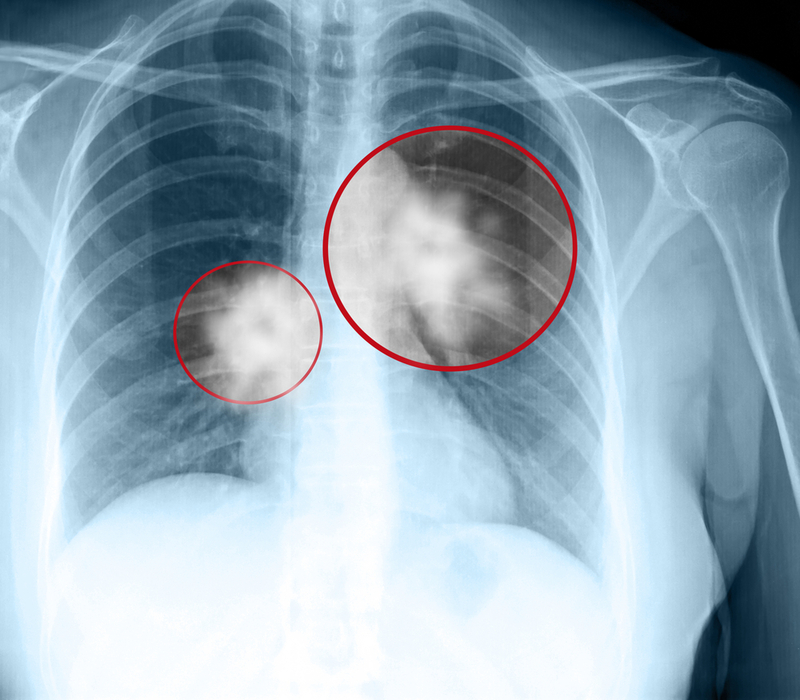 RTA 408 is in planning for a Phase 1b/2 trial in melanoma and lung cancer beginning in 2014 to test the ability to augment checkpoint inhibitors such as ipilimumab and PD1 inhibitors. RTA 408 is also in planning for testing of its anti-inflammatory and bioenergetics effects in Phase 2 trials for the treatment of Freidreich’s Ataxia and Mitochondrial Myopathies during the second half of 2014. RTA 408 has been formulated into a lotion which is being tested for use in dermatological cancer supportive care settings. The first of these is the PRIMROSE Phase 2 study to test the ability of RTA 408 to prevent radiation dermatitis described in this article. RTA 408 has also been formulated into a sterile ophthalmic suspension and is being tested in two trials to treat post-surgical inflammation and to prevent the loss of endothelial cells due to cataract surgery. Bardoxolone methyl (formerly RTA 402) is currently in a Phase 2 dose ranging study for pulmonary arterial hypertension. Tagged Radiation Burn, Radiation Burn Lotion, Radiation Dermatitis, REATA, RTA 408 Lotion.